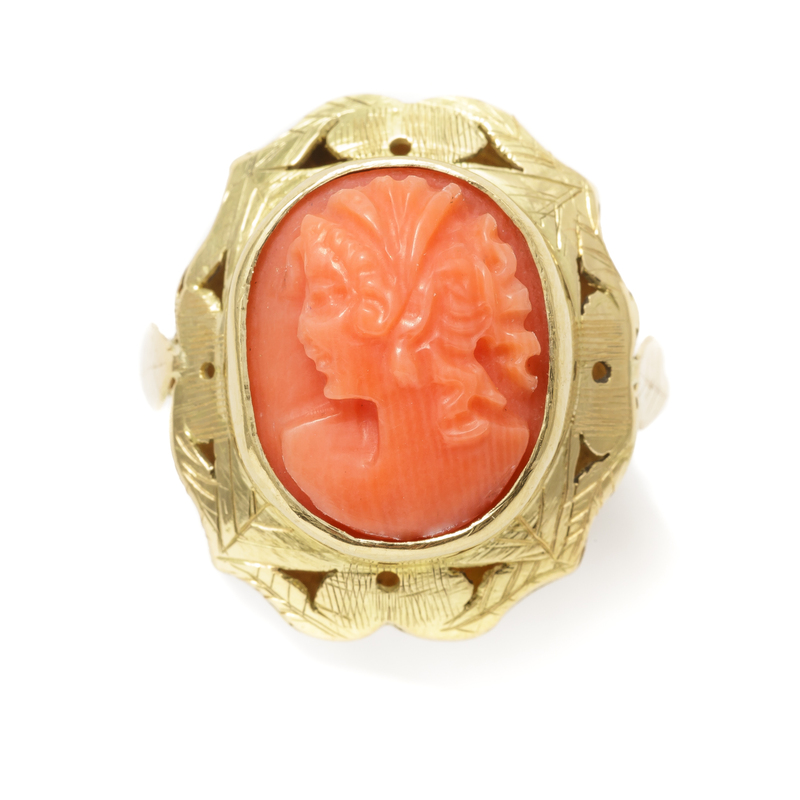 Inspired by tradition, god-mothers typically gave this ring with a fine coral cameo, sa cara e coraddu (coral face), to their god-son when he was christened, as a present that, in the future, he would give to his fiancée. 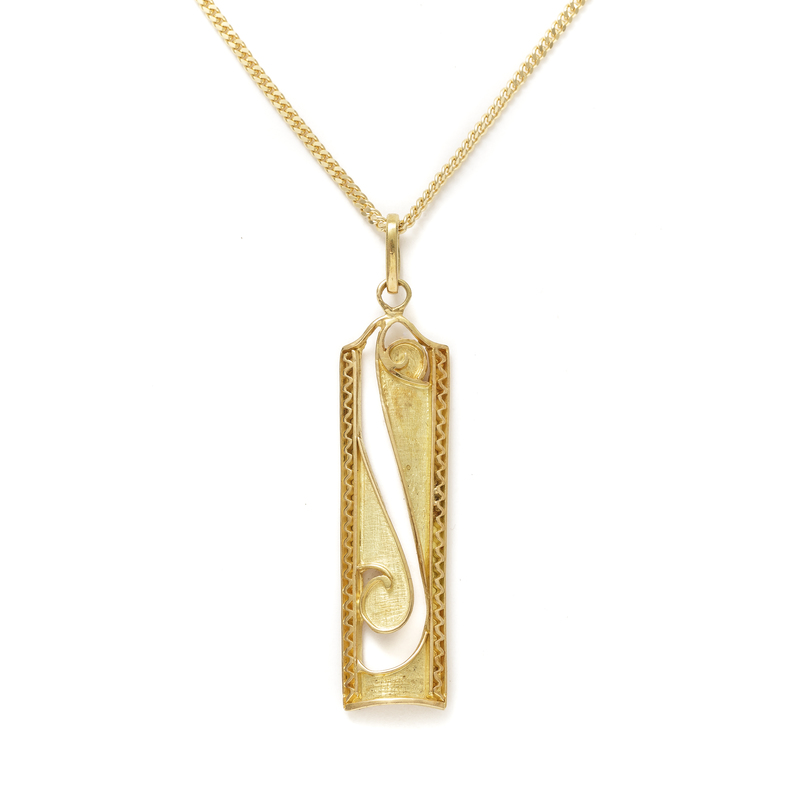 This elegant gold pendant has an original elongated shape and is decorated with abstract forms with curved motifs and a central slash on the satin surface. 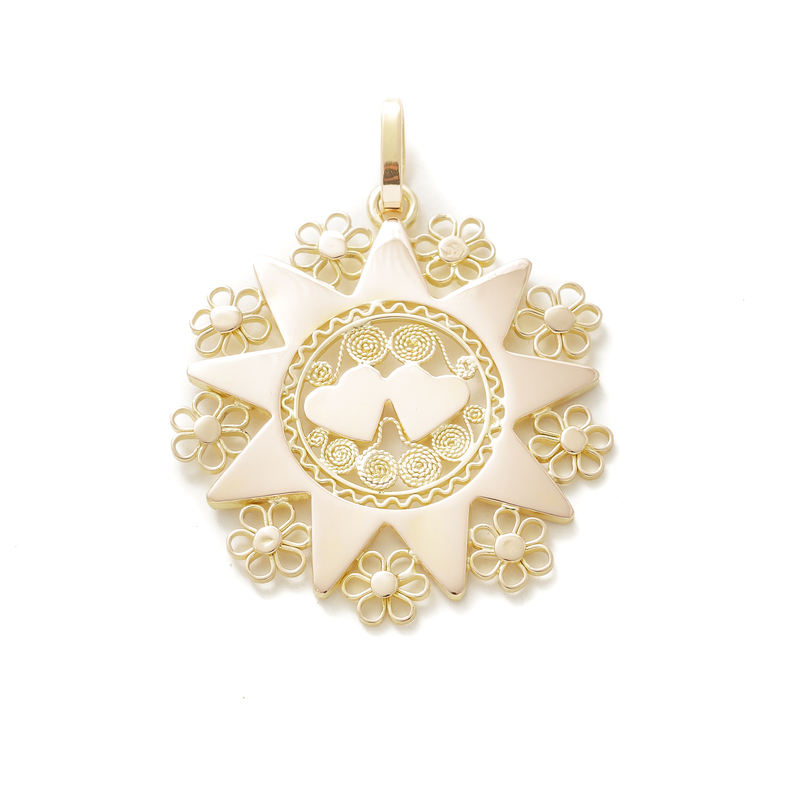 The S’istella pendant with the typical design of the local goldsmith tradition faithfully reproduces an ancient version typical of the village of Irgoli featuring small daisies and two small hearts in smooth thread in the centre, a well-wishing symbol. 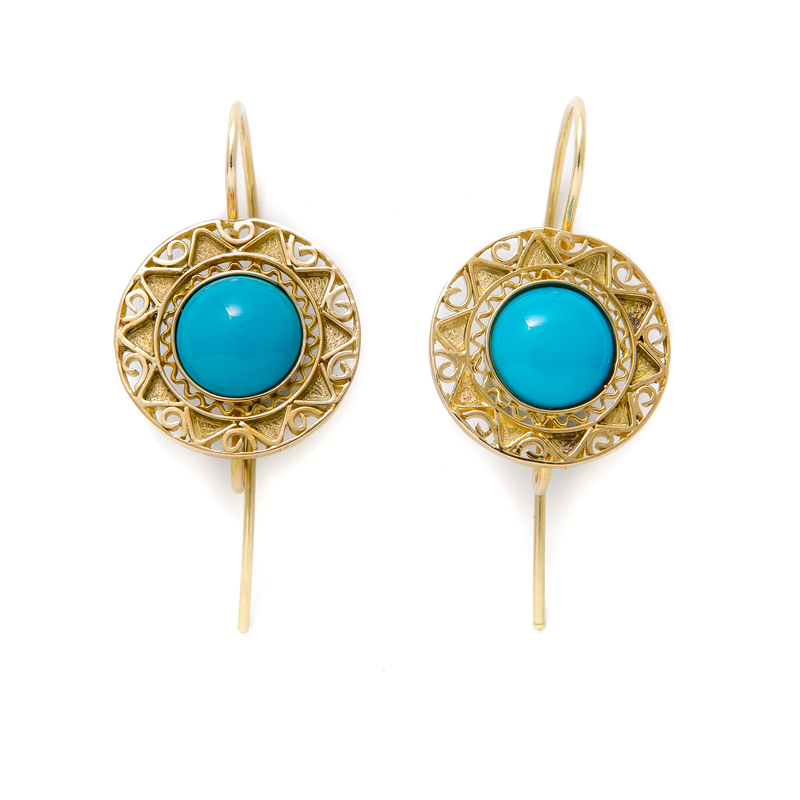 The finely crafted earrings in gold and turquoise based on a design by this craftswoman evoke elements of the local tradition with the reinterpretation of the star motif of the Sun of Dorgali and the skilful crafting on gold plate. Typical of the local goldsmith tradition, god-sons received the corniola (carnelian) ring when they were christened, as a present that, in the future, they would give to their fiancée. Sabrina Mulas’s goldsmith production explores and reinterprets traditional themes in a personal way, building on her training and professional experience in the goldsmith domain. She studied at the Art School in Nuoro, specialising in goldsmith techniques and in particular in the design of jewellery with an artistic and creative approach. She later perfected her technique and knowledge of the local goldsmith tradition by attending a course for filigree artists in the nearby town of Dorgali, well known for its goldsmith tradition. Sabrina’s style is characterised by the ability to reproduce the typical shapes and style of traditional jewellery in gold and hard stones through the careful research into antique elements and elegantly revisited manufacture, alongside a production marked by her personal stylistic design that clearly reveals her creativity. In 2001 she opened her own workshop in Irgoli, a small town in the province of Nuoro located near renowned tourist centres, where she produces her refined artefacts, carrying on a personal path characterised by ever-evolving stylistic experimentation. 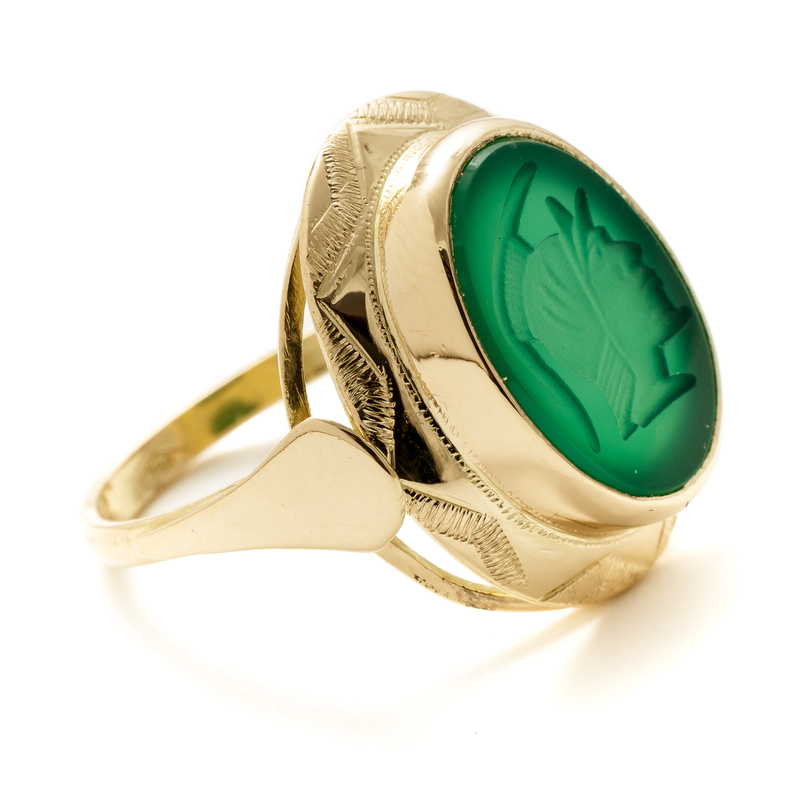 Sabrina Mulas produces a line of jewels taken from the renowned goldsmith tradition of the area of Dorgali. Carefully crafted gold rings, brooches, earrings and pendants reflecting shapes and style of local tradition as well as the use and combination of hard stones. In addition, she designs a personally inspired contemporary line that innovatively revisits the traditional themes according to her artistic personal technique. All filigree techniques, including openwork and granulation, in addition to all the classic goldsmith techniques are performed in this workshop.